I'm usually ridiculously busy, whether it's chasing 2 kids all day, doing blogging stuff, or doing charity work. I rarely have free time. I try to multi-task when I can in life, and that extends into my beauty products as well. I know many of you are in the same boat! It is so awesome to be able to have one bottle for everything, especially when traveling. I love how Our Skin Cares Anti-Aging Serum is physician created and tested plus it's made in the USA. It's paraben-free, free from dyes and harmful preservatives. Plus there are no silicones and it's NOT tested on animals. While this is a treatment, feel free to use this in conjunction with other products, like sunscreen or makeup. It works with all skin types. 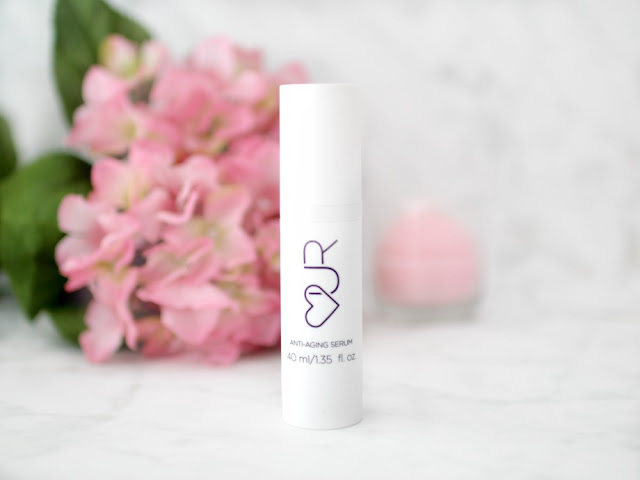 OUR Skin Cares is designed to minimize the signs of aging by reducing the appearance of age spots, fine lines and wrinkles, rough texture, enlarged pores, oily or dry patches, strengthening the skins natural barrier function, increasing hydration and many more skin concerns. And--yikes--here's a makeup-free pic of me to show that OUR Skin Cares works for me. My freckles are diminishing and this feels so good on the skin. I apply a couple of pumps to my face and neck in the morning and night. I'm in my late 30s with super dry skin, and need all of the help I can get, so I'm glad to have a product like this. 2--The second reason OUR Skin Cares is different--remember when I mentioned charity work? I have various causes that are near and dear to me, and one of the biggest causes of mine is for kids. The two little girls I nanny for are a huge part of my life as are my two nephews and four nieces. The are loved so much and luckily will never experience malnourishment. But many kids do. With every product purchased, OUR Skin Cares provides 2 children with a month of meals through their partnership with Food For The Poor. How awesome is that? Many companies do a month-long promotion with a charity. Not OUR Skin Cares. Kids are getting meals for EVERY bottle purchased. That's something to feel good about...while looking good too. If you're interested in checking out OUR Skin Care Anti-Aging Serum, click here and use the code ellesees for 20% off. I hope you love it as much as I do! Thank you to OUR Skin Cares for kindly sponsoring this post. Are you into multi-tasking beauty products like I am? We're so glad you like the packaging, Vidya! Please use code ellesees for 20% off your next skincare purchase at ourskincares.com! I love companies that give to a great cause. Sounds like a nice product that it does all that in one...super convenient! Wow! This stuff works as hard as you do! I can't believe all of the benefits, and it gives back to the community too! Sold! Oh my, all that stuff in one bottle and it is a company that cares?? I will have to check them out! You have gorgeous, flawless skin Elle! This product sounds amazing! Sounds like an amazing serum and love that it's for a good cause! You look beautiful with no make up on girl! I am all about multi-tasking products because I'm not a huge beauty guru. This sounds great! 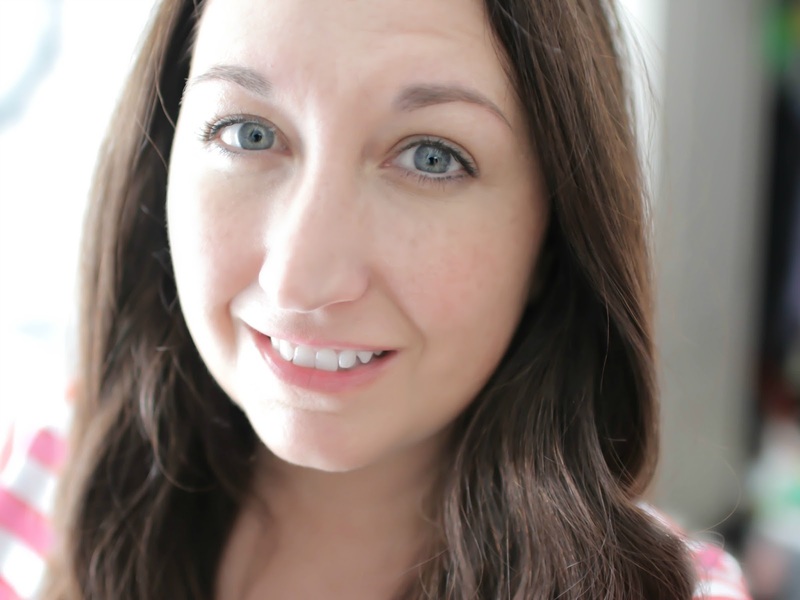 With two children around I am all about the multi-tasking products, be it makeup or skincare. Wow, this product really does multi-task! It sounds like it does so many great things for your skin and I love that it gives back. Those are the best companies! Thanks for sharing, Elle! We're so glad you appreciate giving back as much as we do, Rachel! 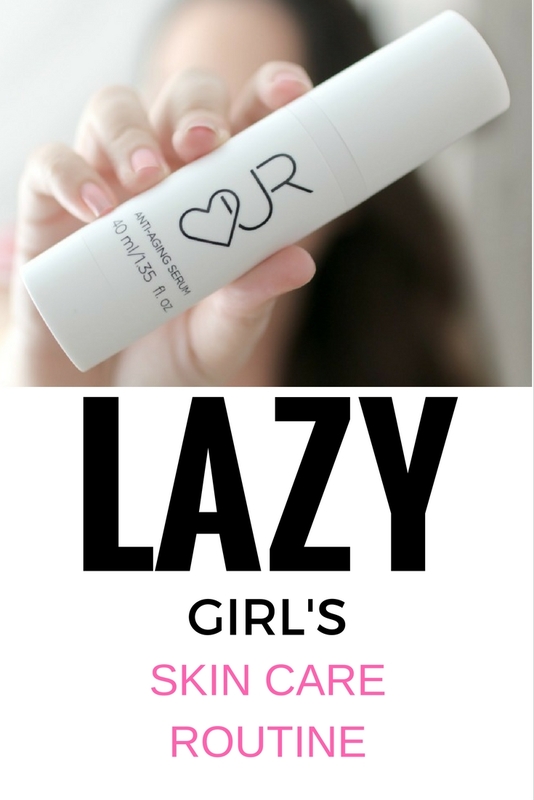 <3 Please use code ellesees for 20% off your next skincare purchase at ourskincares.com! Cute post! I've never heard of this brand. Thanks for sharing! I've never even heard of this before - but what an amazing product? I love when companies give back. Plus it sounds like this serum does it all. Okay this is sort of amazing- I love that this replaces SO many steps in my skincare routine. And the fact they're cruelty free is AWESOME! This sounds amazing but I'm not sure if I can bear using solely one product to target everything. I think I would be too paranoid that it's not working as well as layering my usual skincare. I do like that they are supporting a great cause and I would be more than happy to purchase for that reason alone. You look wonderful! It would be crazy that this product replaces everything, but I'd be interested in trying them out especially because they give towards a good cause! It is always great to hear about companies like this who gives back to the community:) Thanks for the heads up, Elle:) I myself like multi-tasking products, so I love hearing about stuff like this OUR serium. Love a good multi tasker! You look beautiful. This sounds like an amazing multi-tasker! I love the cute packaging and that they give back too! Ok this sounds amazing! I'm all about the multi task and I love that every purchase kids get a meal! OUR skincare sounds like such a great company, and that's awesome that it replaces multiple products! Even better that it does some charity work as well! It sounds like a great brand! oh, what a fabulous company! i have been looking for new skincare stuff so i'll definitely be checking this out, and honestly, even better that it supports such a great cause. I love the idea behind this product for both reasons! Eliminating steps with a product that works and helping out children is a win-win! Asian beauty is all about multitasking products so it's a beauty concept I'm totally on board with. This serum sounds seriously amazing and that photo of how well it has worked for you is all the proof I need. Companies that give back are always worth supporting. This sounds like a terrific brand! I'm all about simplifying my routine these days. Love that they give back! Oh yeah bring on the multi tasking and love the logo, very cool as is the charity work. 12 things in one?! Sign me up! This sounds amazing! I'm all for multi-tasking products! I love that they donate to charity too. And your skin is amazing! 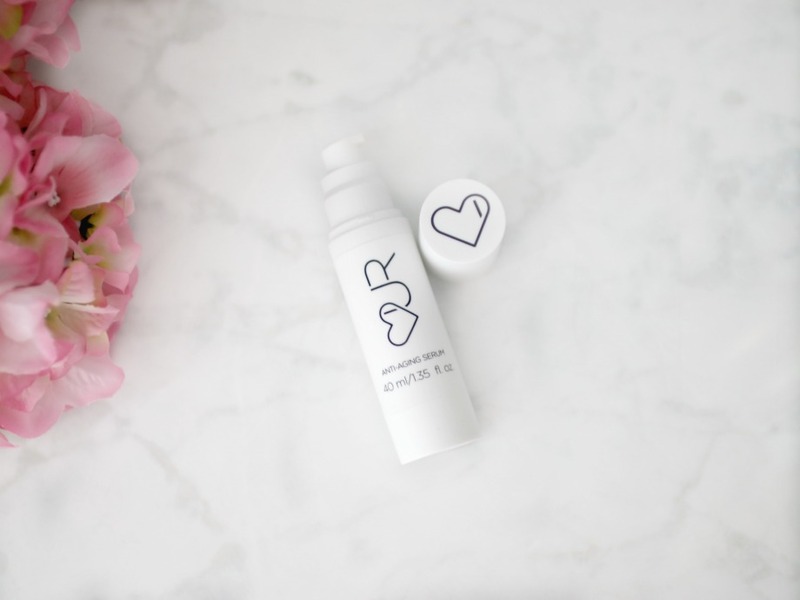 This sounds like a really great skincare item with a great cause! I need to check this out. This sounds like an amazing company and I love how this can do so many things for your skin. The all in one product sounds amazing. And your skin looks beautiful Elle! I love the sound of this serum and your skin is flawless. I am definitely all for multitasking..! And love that this brand is working hard for the hungry children. I can definitely get behind this brand! This sounds like an awesome product! And I love that they give back! Multi task cream, yes yes and again yes! I prefer such a cream than many different ones! I never heard of Our, but after all you listed here, it's amazing! Serum, hydrating, vitamin C etc etc, so good! Plus, I also liked that they have a partnership with Food for the Poor. Really a great product, I am sure, and with a discount, even better!